Well, I didn’t do too much reading last week. 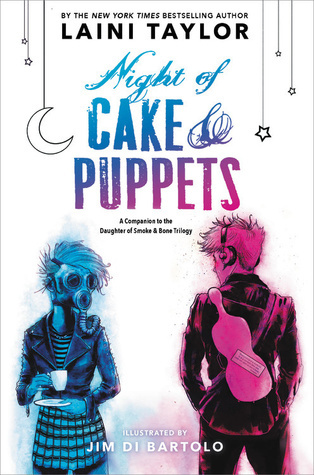 I did read Night of Cake And Puppets, which I had been wanting to read for some time now, but only got around to it now since I got my hard cover copy, as I don’t care for reading books on my ereader. 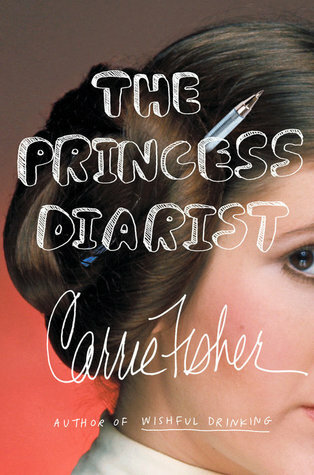 I liked this one, but I didn’t love it as much as the main books in the series. I’ll be posting a full review of this one soon. Much like my reading, I didn’t really watch much TV this week. I did watch an episode of Recovery Of An MMO Junkie, and I’m still really enjoying this new series. We also watched the latest episode of Star Wars Rebels. On Wednesday I got my copy of Your Name, so we had to watch it that night. This is such a great movie and even the boy loved it. Needless to say, I watched it every day after that as well. For Family Movie Night we ended up watching My Dog Skip, which was good, but not as good as I remembered it being. Life was pretty dull last week. I honestly didn’t do much, because I was lacking in motivation. Hell, I barely even did any writing as well, so now I’m quite behind on my word count for NaNoWriMo. No real plans with this. I may read, may not. We shall see. I will probably continue to watch Your Name throughout the week because I just love it so much. I will also be catching up on the latest episodes from Star Wars Revels and Recovery Of An MMO Junkie. I’m not sure if I will try to catch up on my PVR stuff or leave it for later. I really need to buckle down and catch up on my writing. I didn’t write for 5-6 days last week, so I have quite a bit of word to write in order to get not only caught up but be in a good position to finish NaNoWriMo and win. This entry was posted in Books, Life, Monday Progress Report, Movies, TV and tagged Book Review, Life, Monday Progress Report, Movies, TV. Bookmark the permalink. Some weeks are like that. I had a quiet one too. Come see my week here. Happy reading! There is definitely something appealing when it comes to the occasional quiet week. Sometimes a quiet week is just what we need. Agreed. And a quiet week is exactly what I needed.